A classic high-backed sofa where to put your head on: surely the most comfortable version. 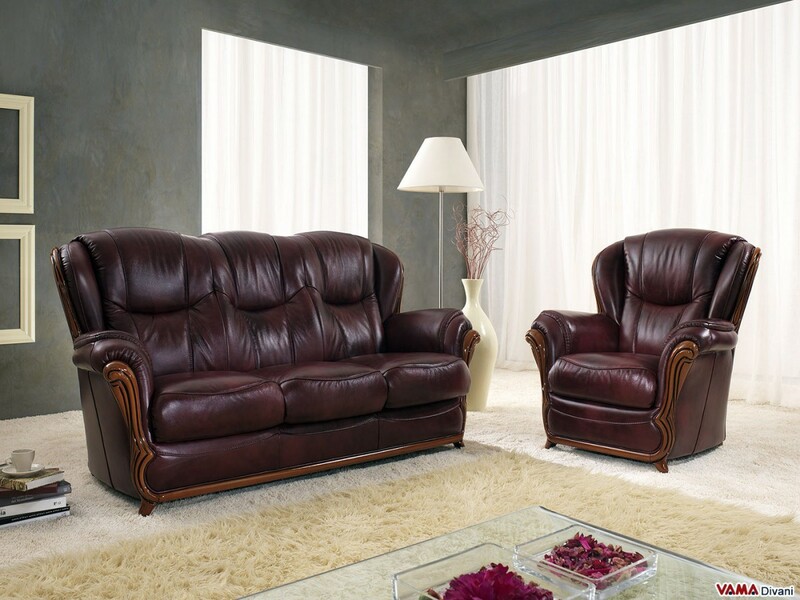 The elegant wooden finishings on the arms and other parts of the sofa, in addition to really enhance this model, gave their name to this legendary category of sofas, defining them as "wood trimmed" ones. 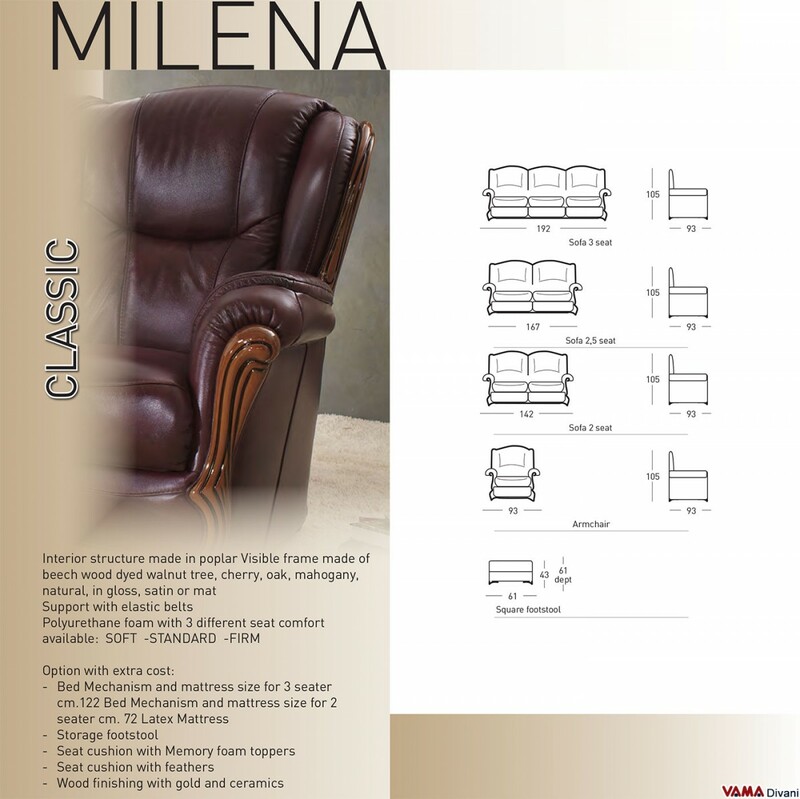 When it comes to classic sofas, the first model we think is undoubtedly a wood trimmed sofa like our Milena sofa. A model exploded in the second half of the 20th century, when owning fine wooden pieces of furniture was almost a must. It was designed and realised especially for those who got tired of the classic rustic wooden sofa, and for those who discovered in wood trimmed sofas an excellent alternative for their living room. Its small but clear wooden details which create a kind of frame around the sofa, characterise and differentiate this version from the most classic sofas of our catalogue, making it ideal for living rooms furnished in vintage style and a perfect one for lovers of wooden decorations. And what about its style? Another key feature of this wood trimmed sofa is its large and high back, an excellent solution for those looking for sofas where to put their head on, for lovers of absolute comfort, in a simple and modest sofa characterised by a small size. This sofa, like all the products of our collection, can be customised both in colours, upholstery and sizes, to have in your home the perfect sofa for your living room.